Senior Congress party leader and member of the Zila Parishad, Hoshiar Singh Thakur has condemned the state government attitude towards public interest projects which would have been of great benefit for the faster development of this entire region. 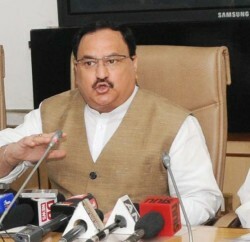 In a statement to the mediapersons, Hoshiar Singh said the BJP government had not deposited its own share of Rs 30 crore till the last date in the first phase of the Bhanupali-Bilaspur Broad Gauge Railway line, resulting in the lapsing of all legal notifications and notices given to villagers regarding the acquirement of their land for this purpose and blocking this project. 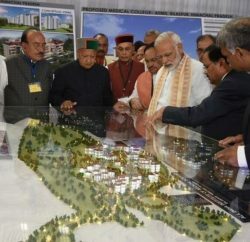 He said that BJP leaders had been trying to mislead people of Bilaspur and the state by repeatedly alleging from public platforms that this project had been “abandoned” by the Central government due to the “hostile attitude” of the Centre towards the state. 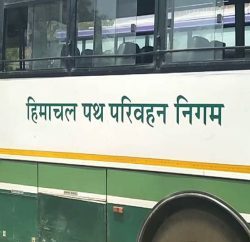 He said they also had been alleging that though three years ago the Prime Minister had said it would be completed “within the next three years,” yet the Centre had taken no interest in its start and completion. He provided documentary evidence, a letter written by Deputy Chief Engineer (Construction) of Northern Railway, Chandigarh, dated March 6, 2012, addressed to the Advisor, Planning, Himachal Pradesh, which asked the state BJP government to deposit its own share of Rs 30 crore for this Bhanupali-Dharote section of this Railway line. The letter specifically warned that in case this amount was not deposited immediately, this project would be delayed as the notification of land acquirement lapsed on May 12, 2012.